Have you found a diamond in our catalog and want to design a truly amazing and eternal piece of diamond jewelry? You've come to the right place. 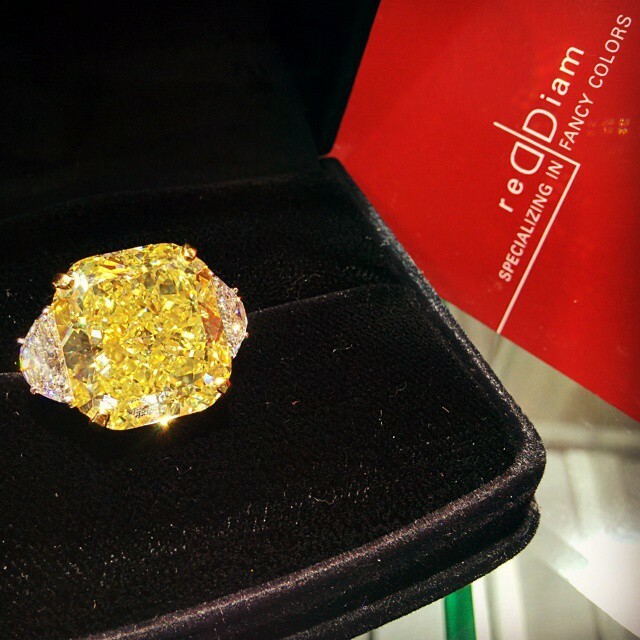 We at Reddiam Ltd specialize in unique and masterful color diamond jewelry design. Whether it’s a diamond ring, diamond earrings or a stylish necklace, we utilize our expertise in diamond cutting to create breathtaking pieces that emphasize luster and brilliance. Contact our jewelry design consulting team and share your idea with them, They will be thrilled to help! 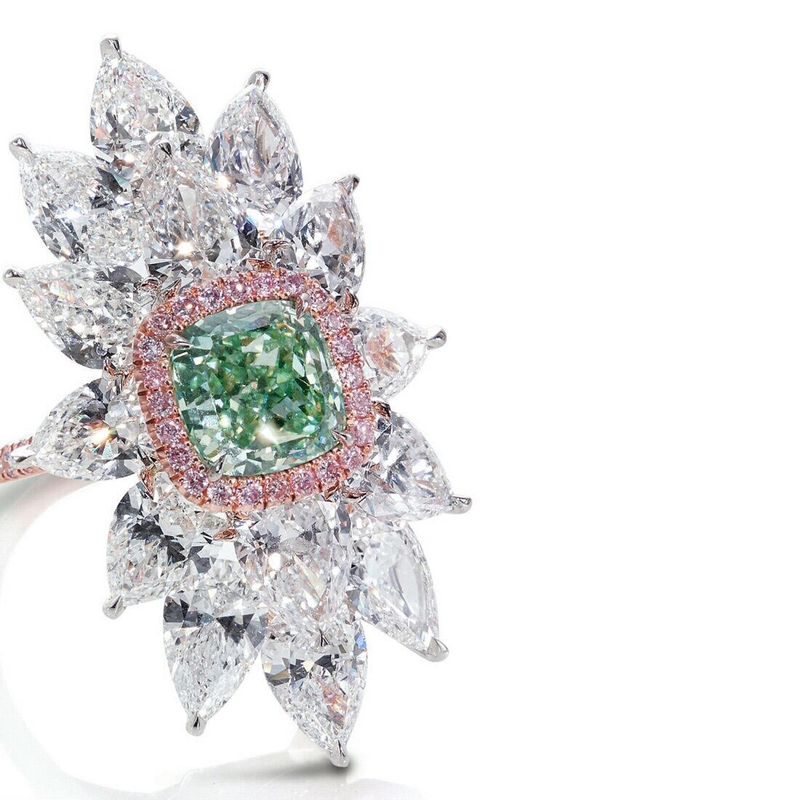 This breathtaking ring boasts a very rare natural color diamond, this 2 Ct square shaped fancy intense green GIA certified stone paved with a halo of argyle pink round diamonds and highlighted with a sunflower pattern of pear shaped collection diamonds. An all time favorite of ours is this amazing 20 carat canary cushion diamond with beautiful half moon shaped side stones that add superb sparkle and brilliance to this design. Want to see what other special yellow diamonds you can set in your diamond ring? click here.